If you've ever wanted to see yourself as an animated bear, or just stop your older iPhone from slowing down, Apple has just the update for you. The company released its iOS 11.3 mobile operating system update on Thursday, which includes a laundry list of new features and fixes. It's the third major update for iOS 11 since it was released last summer, and the first to address one of Apple's biggest scandals. Owners of older devices can now disable a feature that slows down their iPhone to prevent a sudden shutdown. Apple (AAPL) has admitted to slowing down some iPhones to prevent a sudden shutdown caused by older batteries. To placate outraged customers, the company dropped the price of battery replacements earlier this year. It also said it would release a new feature to give users more control. The new Battery Health options are located in Settings -> Battery -> Battery Health (Beta). It shows information about the status of your battery, including its maximum capacity and peak performance capability. It will tell you if the battery needs to be replaced. Turning off the "performance management" feature might make your phone feel zippier, but could also result in your device turning off unexpectedly. When you first install iOS 11.3, you're greeted with a landing page about its new Data & Privacy feature that states, "Apple believes privacy is a fundamental human right." When you open Apple apps, you'll see a small Data & Privacy icon that looks like two people shaking hands. Click and you can see a rundown of all the data you're sending back to Apple and what the company needs it for. The privacy feature was announced in January, months before Facebook's data woes were made public. But its prominence is good timing for Apple, which has been highlighting its different approach to data. Unlike Facebook or Google, Apple's business model isn't primarily based on collecting data about its users to serve advertisements, though it does show targeted ads in places like the App Store. You can now store your medical records on your iPhone. A new feature in the Health app will let you connect to your health care provider and download encrypted medical records. They'll show information like allergies, vaccines, lab results and any medications you've been prescribed as a timeline. The feature only connects to select hospitals at the moment. You can search for yours by going to the Medical Records section of the health app. Have an iPhone X? Try a bear Animoji! 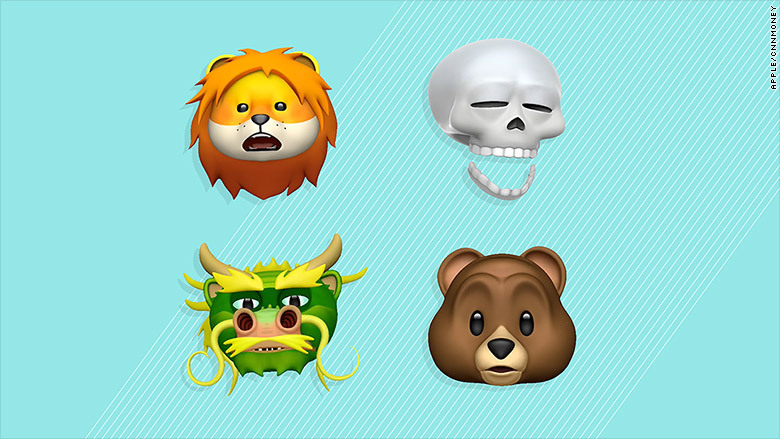 Apple has added four new Animoji characters in iOS 11.3. Available in the Messages app, the bear, dragon, skull and sullen lion characters mimic your face movements and record your voice. It's not as important as serious issues like planned obsolescence, health care, and keeping tabs on your personal data. But let's be honest, it's the thing most people will probably test first.